A bookazine dedicated to the golden era of text adventure games. Colossal Adventures in Twin Kingdoms of Hobbits. 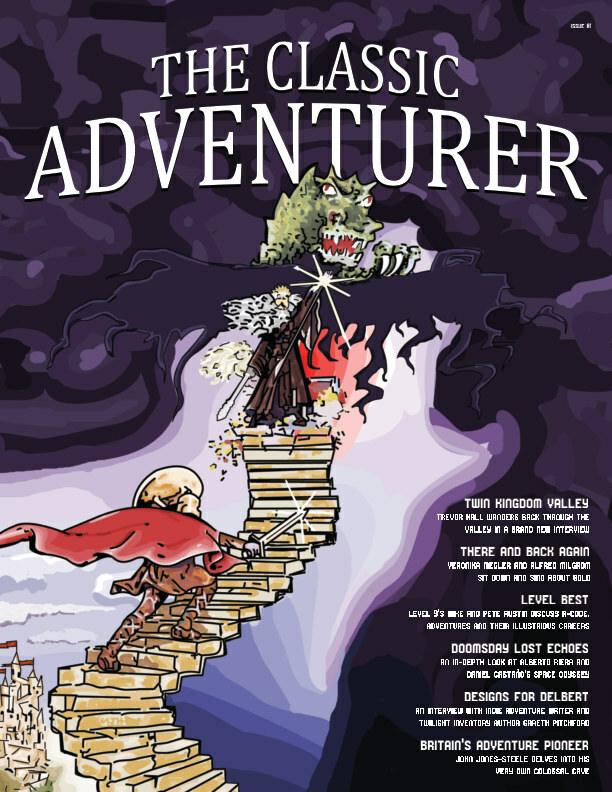 The Classic Adventurer is a collection of in-depth interviews, reviews, and artwork from the golden era of adventure gaming. Mark James Hardisty is from Sheffield. His weekly pilgrimage to Just Micro as a child left him with an indelible love for Gremlin Graphics. You can find Mark at @hardistymark, where he tweets about Gremlin Graphics, games, getting kids coding, The Cannonball Run, and his favourite game of all time – Elite on the Acorn Electron.